I printed the next page of our Psalm 150:1-6 printable for Parker to work on this week. The first day Parker traced his verse while listening to the track. The next day he illustrated his verse. On Wednesday we cut apart his tracer and he glued it back together like a puzzle in his Bible notebook. On Thursday he recited it from memory. We continued lapbooking around the world with Kate and Mack. This week we were learning about Kenya. The boys located Kenya on the globe. Then they colored the flag and added it to their notebooks. As we were learning about Roman soldiers, Jordan took the opportunity to dress up for class today! I created a set of I Can Read It! 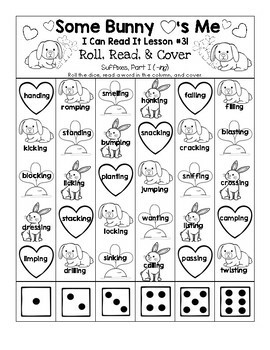 worksheets for Parker to work on. He used his dot paints to complete his Roll, Read, and Color worksheet. The following day he colored the Read and Color worksheet. I created a My Carrot Garden – Adding -ing Suffixes pack. You can purchase this pack here at our TPT Store. First, Parker glued the carrot suffixes to the word tops. After completing the My Carrot Garden mats, Parker wrote the new words. 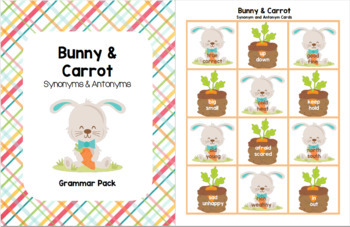 I created a Bunny & Carrot themed Antonym and Synonym pack for the boys to work on. You can purchase it here at our TPT Store. The boys sorted through the stack of cards. Parker worked on the cut and paste antonym worksheet. The following day, he completed the synonym match worksheet. Jordan worked on the Synonym and Antonym Carrots worksheet. 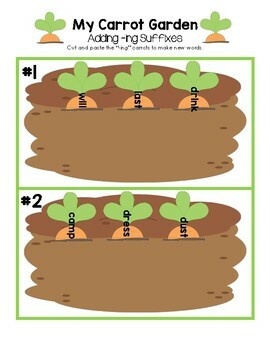 I set up a make-a-word carrot garden bin for Parker to work on his phonics activity. First, he picked a carrot and I said the word outloud and he built it. Next, I challenged him to look for the smaller words hidden inside (e.g. “rip”). He worked through the entire carrot patch and did an excellent job spelling each word and finding the hidden words. Over the past few weeks, Parker memorized The Swing by Robert Louis Stevenson. We went outside so he could recite it on our swing set. Great job Parks! I printed out our April Page from our Calendar Booklet. The boys completed their April pages and added them to the booklet. I set out a copy of The Phases of the Moon worksheet from our I See the Moon pack. I set out plates with mini Oreo cookies and a worksheet for each kid. The kids used their plastic knives to scrape away parts of the cream center to match each moon phase. Afterwards they drank their tea and gobbled up their mini moons!